​If you’ve never experienced a GYROKINESIS® class, this series is for you! 1 class may be made up by taking a regularly scheduled Gyrokinesis class. This six week class is a prerequisite for our regularly scheduled weekly Gyrokinesis classes. 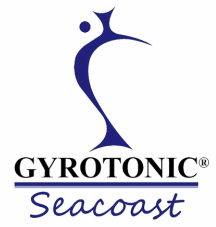 You will learn the principles of the GYROTONIC EXPANSION SYSTEM® - stability through contrast, the “5th line”, “scooping” the joints and spinal motions. We will break down the exercises and focus on building awareness and dynamic stability - the keys to a healthy spine and joints.